I want to apologize for my completely inappropriate use of language when discussing sexual abuse. I have always believed in the importance of empowering victims of all kinds to move forward in building their lives. In my zeal to reinforce that belief, I came across as being dismissive of one of the worst crimes imaginable. For that I am deeply sorry. Molestation is a devastating crime, violating the intimacy and innocence of the pure and defenseless. The victim is left feeling that there is something wrong with the world in which they live. Perpetrators of molestation should be reported to the police and prosecuted appropriately. Any person, organization or entity that stands by silently is abetting in the crime. From now on, I will make sure to make those points absolutely clear. This is about more than regret. The subject can’t be neglected. I hope over time to earn the forgiveness of those who were hurt by my words. It is regrettable that Rabbi Friedman waited until now to issue this apology – but it is nonetheless a welcome development. I do not understand this back-hander. If it takes a week of world-wide condemnation for someone to realise their wrong and express it, why focus on that week and give them a slap? People don’t always act immediately for a variety of reasons. There is all manner of reason for this, but I see absolutely no value whatsoever in being hypercritical about such. When victims take years and years to realise that going to the police is the right thing to do, would anyone dare say, “Oh that’s a good first step, but we regret that you took so long?”. Rabbi Friedman is not a victim. One week really isn’t an eternity, and Manny’s attack over this aspect really is unnecessary and mean-spirited. I have no issue with Manny’s organisation Tzedek pursuing the issue, and I am on record as being critical of Rabbi Friedman. That being said, he was very foolish, but he isn’t a fool. I have every confidence that he will turn this incident into a launching pad to assist in shaking out the cobwebs and helping those who have experienced trauma. Sadly, some groups, such as Satmar and the supporters of Rabbi Halpern and Rabbi Padwa are not within cooee of even coming close to changing their attitude to the (correct) Torah view, let alone addressing the issue properly within their communities. Hopefully, Manny’s organisation can make some incursions into these two topical infamous cases. I’d encourage Tzedek and other similar organisations, however, to be a little more temperate in their language. When someone apologises, don’t give them a back-hander; it serves nothing. Could it be that the remorse was caused by worldwide condemnation & not because he believed he said anything wrong. What caused this delayed epiphany? I don’t buy it & neither should you. If you believe he has “seen the light” you probably also believe in the tooth fairy. measure for measure.Let’s see the body language. So let me process this Bruce. You are saying Rabbi Manis doesn’t mean what he says when he apologised because it took pressure for him to come to the realisation that his comments were outrageous. You are a hard man. I don’t think the Torah supports your view, although I can appreciate you feel frustrated over a rang of issues. We should accept a clear apology, especially when very few do. 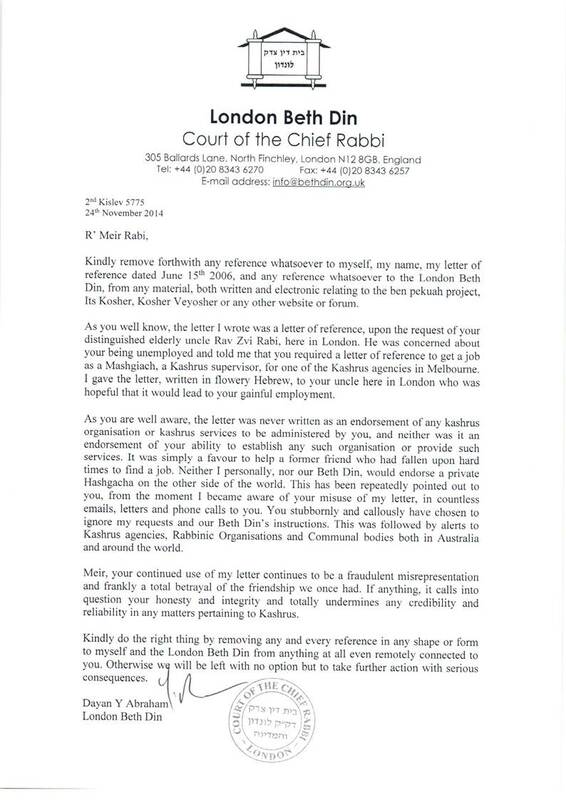 Some Rabbis at YU took longer to apologise over the Lanner case, but apologise they did. We need to now sit back and see what unfolds. he Isn’t a fool, he is plain cruel, I don’t why is it that you think that he will to come to the realization that his comments were outrageous, it may shut his mouth for a while, but I don’t think he is able to realize that his comments are offending and outrageous. his apology has the same value as the spinker rebbes speach that it is not permitted to steal from the US government, before he was sentenced for stealing from the US government, and rabbi padwa’s statement before the screening on channel 4. Backhanders serve a less negative purpose, then the people who say that he should be forgiven, because he said “I am sorry” in less time then the Catholic Church or some Rabbis at YU. Many people demanded an apology from him (including me http://blogs.timesofisrael.com/rabbis-learn-to-say-i-was-wrong/), and he apologized. Good on him! It’s the essential first step in repairing the damage done by his comments. So why can’t all his decriers accept it as that? Did they ask for more than apology? Did he miss an imaginnary deadline? And what more should be required of him? Does he have to prove – b’oso makom; b’oso isha – that he would never make such comments again? A video response – midda k’negged midda? Please! God runs by that standard, not humans. Instead of attacking and condemning the apology you demanded, maybe use it to open up some dialogue so he can understand better why and how his comments were offended? In his position at Machon Chana, it is quite possible that he deals with people who have been abused. This is an opportunity to help him and his org be more effective in dealing with them, not an opportunity to bash frummies by slamming the door in his face! I think Mr Cook is unnecessarily cynical. Rabbi Friedman made outrageous comments which were understandably meet with derision, however he has now unreservately apologized with great contrition. Manis is a brilliant mind, has brought countless people to Torah and Mitzvos and is a very compassionate man. Previous Previous post: Beth Din for Rabbi Manis Friedman?